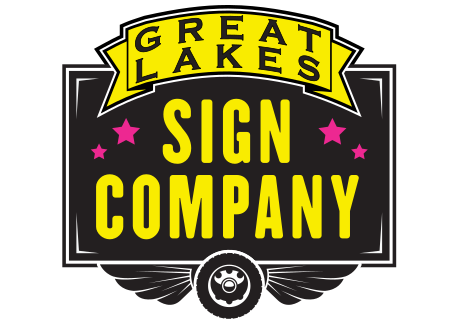 We offer some of the best pricing for portable sign rentals in Grand Rapids and surrounding communities. Our signs are made from steel and have been powder coated black and constructed together. We are very transparent about our pricing. When you get a quote from us our cost is straight-forward. Rented from Great Lakes Sign Company for more than a year now and have been thrilled with the level of service from Great Lakes Sign Company and Chad. Best Black Sign business in GR! I recently rented a sign from Great Lakes. Dealt with Chad. He was very thorough in explaining what I needed, everything was delivered and picked up as requested and he was very easy to work with. I would highly recommend Great Lakes if you have need for a sign. We needed help with hiring, so we ordered a large road sign from Great Lakes Sign. Fast delivery, and the applications started rolling in. We were able to fully staff within a month. The sign was promptly picked up. Affordable and proven results, will use them again anytime! I definitely had a great experience with this sign company. If you are looking to grow your business then give them a call and you won’t be disappointed. They are creative, professional, and very affordable. Pricing was GREAT. They were so so easy to work with. I got the sign for my sister that just had a baby and had it in her front yard welcoming the new baby home. I really have not had this good of an experience with a company in a long time!! Thank You! Great Lakes Sign Company helps make any event stand out. Chad’s knowledge of local code and regulations in addition to superior customer service and affordable prices make him much better than the competitors we’ve seen in the area! We have hired 8 new staff members and received 23 qualified applications! I must say I did not believe that this would work but we were in such need I was willing to try! You have a new loyal customer. I am ready to put one at another site. To request your free quote, please kindly fill in the requested information. We will get back to you within 1 business day of your submission. What are the sign requirements? Each sign has 5 lines that can hold 20 letters. The top line or header can hold 8-10 large letters. We will confirm your requirements with you by email or phone so there is no need to worry! Can I call you instead? Absolutely! Please call us at 616-617-8668 and we can process your quote over the phone. Ready to order a sign right now?